Author: Benson, J. and D.
A compassion and "hurt" for lost souls is the best witness. One's ultimate purpose should not be to demonstrate the error of Mormonism but to point to the need of receiving the "real Jesus" as Savior and Lord. Yet Jesus Himself stressed the need to know the truth when He said, "And ye shall know the truth, and the truth shall make you free" (John 8:32). He went on to say, "If the Son therefore shall make you free, ye shall be free indeed" (John 8:36). Witnessing is never complete unless some information is given concerning Jesus Christ. The language barrier can be a major problem in witnessing to a Mormon. Mormons use Christian terminology but with a vastly different meaning. Therefore, an understanding of basic Mormon doctrine is essential for communication. The Bible also instructs believers to be always ready to give an answer to every person with an attitude of respect. First Peter 3:15 states: "But sanctify the Lord God in your hearts: and be ready always to give an answer to every man that asketh you a reason of the hope that is in you with meekness and fear." Mormon doctrine openly disagrees with the biblical foundation of Christianity. 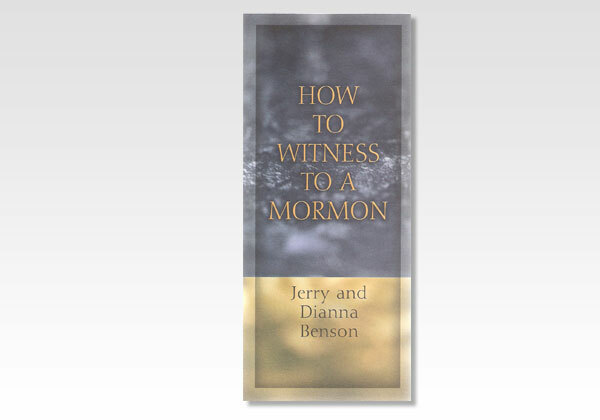 How to Witness to a Mormon will make you aware of the differences between Mormonism and Christianity and better equip you to witness to members of the Mormon church. This booklet will help every believer "be ready always to give an answer to every man that asketh you a reason of the hope that is in you."